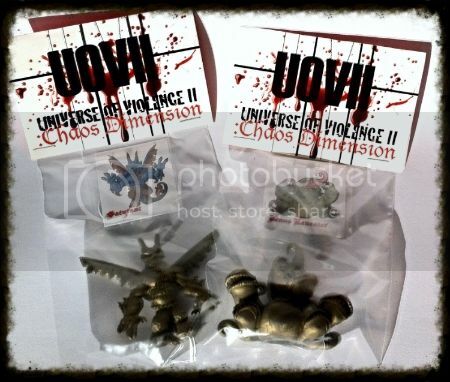 Ironhaus Productions OZ: PRESENT - Universe of Violence Photo Contest @ LRG on NOW!! PRESENT - Universe of Violence Photo Contest @ LRG on NOW!! 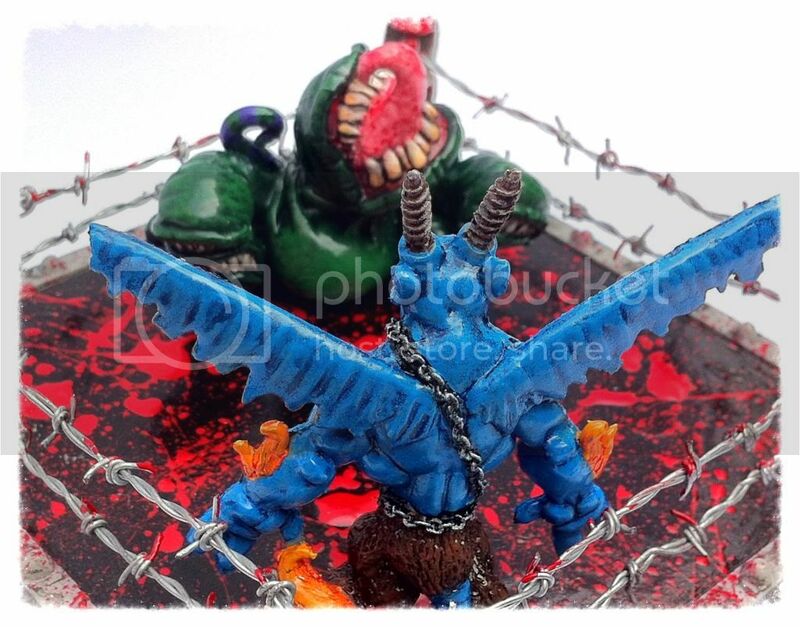 To celebrate the debut release of Universe of Violence II we're going to have a small photo contest over @ LRG! Here is the LINK for the UOV contest thread if you wanna check it out. 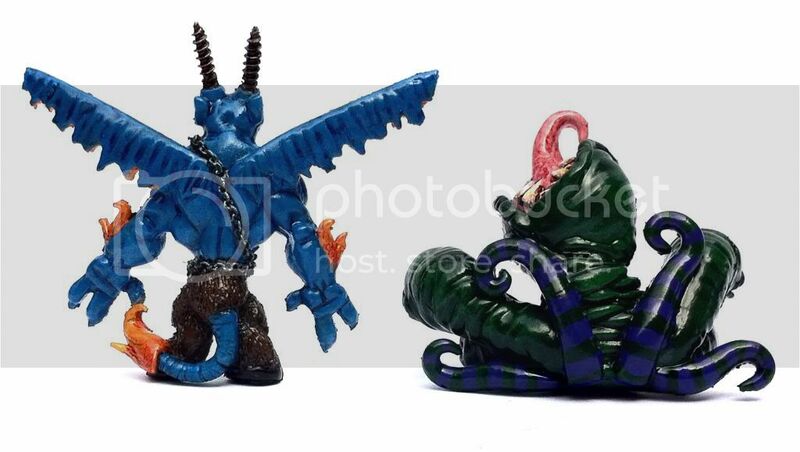 Up for grabs are a pair of bagged GOLD UOVII figures, Satyrant & Venus Maneater. These two were held back from the debut release specifically for this purpose and there aren't any more (there were one of each in the debut release tho). - To apply you need to be a member at LittleRubberGuys Forum. 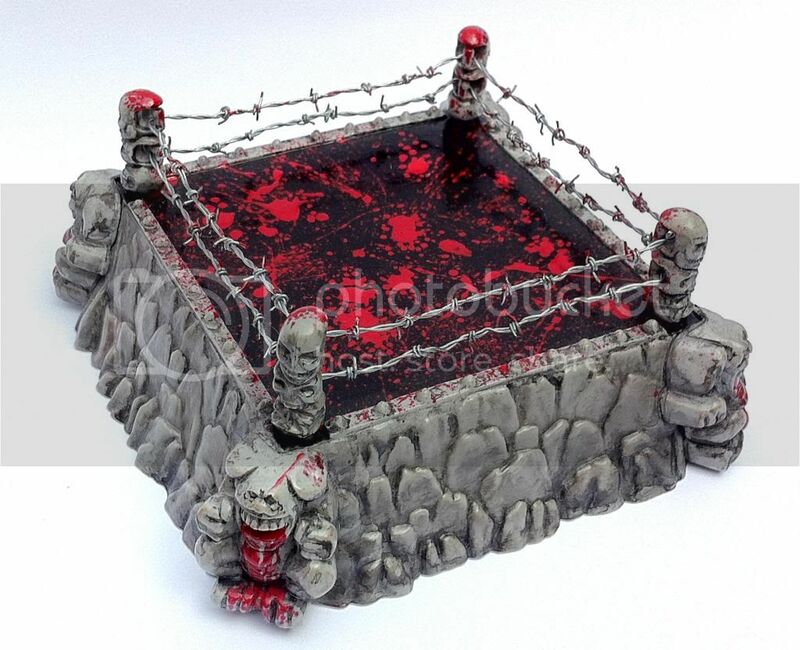 The winner will be picked by me based on creativity, ingenuity & general photography. It will run until 16th of May (3 weeks) to allow for all UOVII orders to arrive and give people enough time to get creative and take some pics. I will draw announce the winner on the 17th of May. To kick off the contest, here are some pics of my own (I'm not entering myself tho). 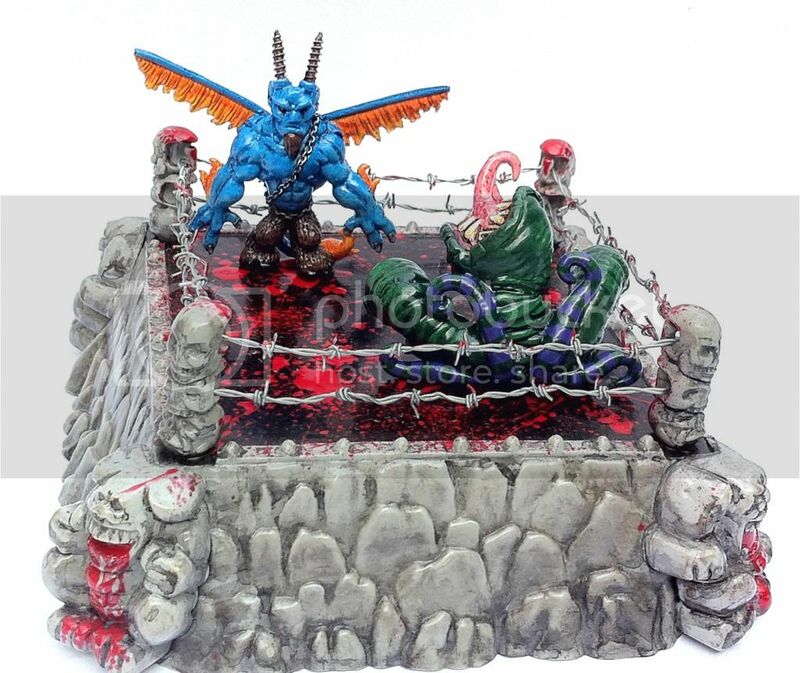 I custom painted a Satyrant & Venus Maneater as well as did some mods & painted up a M.I.M.P wrestling ring. 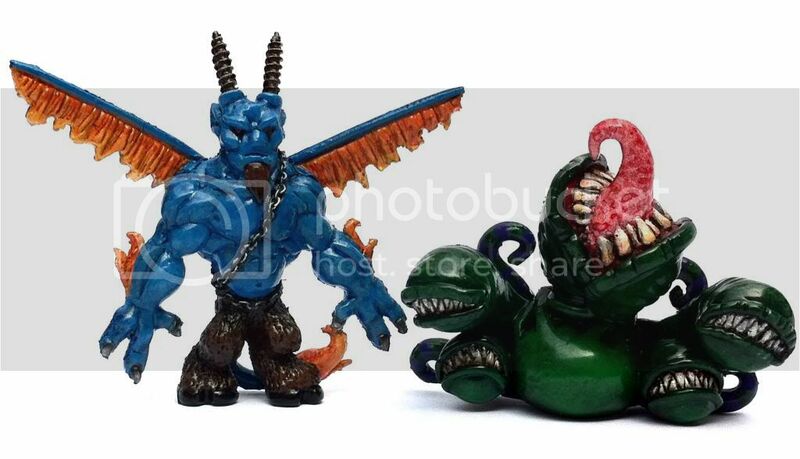 So if you're feeling a bit creative, have some UOV or UOVII:CD figures lying around and wanna win some freebies.. then why not head on over to the LRG UOVII contest thread? Best of luck everyone who enters & have fun! Hope to see you there. Thanks Luke, happy to hear your enjoying the blog!